Whether you’re remodeling your kitchen or just moving in, a refrigerator is one of the most important purchases you’ll make. 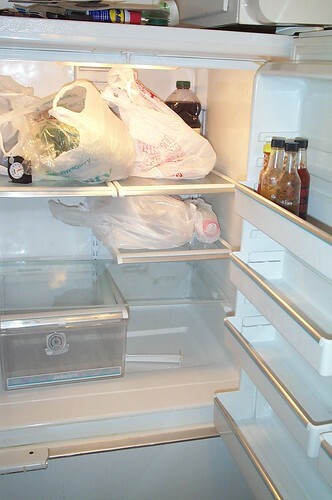 Without a fridge, you’d get pretty bored and malnourished eating only shelf-stable foods from the pantry. Because your produce, meats, and dairy food items are essential and expensive, you want a high-quality fridge that will keep them fresh for as long as possible. But how do you choose the right fridge? There are many different models and price tags to choose from. Since refrigerators don’t come cheap, you want to make sure you get the best deal to suit your needs. Here are some tips and suggestions to help you when buying a new fridge. Before you even start shopping, carefully measure the space where you’re going to put your fridge. Measure the height, width, and depth of the space if it’s built-in around your cabinets. If the space is closed, you’ll want to leave at least one inch between the walls and the fridge. Subtract that one inch from your measurements, and you know the maximum size fridge you can purchase. Bottom-Freezers often offer the most fridge space, though they don’t often come in very narrow versions. You need to bend down to access the freezer. Top-Freezers usually offer a lot of space in a smaller size. You have to bend down to reach the bottom drawers and shelves of the fridge. Side-by-Sides are more narrow and can fit smaller spaces, but they do not offer as much usable space and may not be able to fit some wide items. Built-Ins look great because they can match your cabinets, but they are least efficient when it comes to space because they have a more shallow depth. Cabinet-Depths offer a little more space than built-ins and can be a less expensive option, but they still don’t offer as much usable space as other types. Drawers can take the place of a fridge in an extremely small space, or they can add additional fridge space. They are often expensive, however, and less energy efficient. Refrigerators can come with many different features, such as adjustable doors, temperature-controlled drawers, and water and ice dispensers, among others. These features will cost more, so consider how much you can afford versus how many of these additional features you actually need. Refrigerators that have a “Most Efficient” rating are best, but you should get at least an Energy Star-certified model when possible. Compare energy efficiency by checking the manual for estimated annual operating costs and kilowatt-hours used per year. Purchasing a top-of-the-line fridge now can save you on repair and replacement costs in the future. Extended warranties can drive the overall price up a lot, and they’re not usually necessary. Comparison shop online, and know that it’s often possible to haggle down the price of a fridge in-store. Katherine Brown is a kitchen guru and freelance writer who enjoys giving advice to others on anything from finding the best available appliances to exciting transitional kitchen design.